Hiba Hassan is an undergraduate journalism student at the University of the Arts London. Whether you want to stand in front the camera or prefer to sit behind the microphone at a radio station, getting your break into the broadcasting can be challenging. Where to start? What experience do you need and who can give you the right advice? The mere idea of starting out in this competitive industry may seem overwhelming. Whether you are a journalism student or an aspiring broadcaster with no prior experience, here are five tips to help you get that dream job. One of the most common tips given by individuals who work in broadcasting is to use your community to gain experience. Community radio, hospital radio, your local newspapers and magazines with multimedia options can provide you with an opportunity to gain skills that you can later apply in your broadcasting role. You would be surprised how useful it will be. What is there to lose? In an ideal world, you would always be paid. But voluntary work offers valuable skills during your work placements and internships while you are still learning. All experience is good experience. “Make your sure your social media represents your passions," she said. "Comment on the latest news in your industry by quote tweeting. This shows that not only you are aware of the news in your industry, but you also have an opinion on it." Kufuor also advises to follow the main publications or companies in your field. "They’ll share work experience opportunities and exclusive events that will be great for networking." Here are some key accounts to keep montoring for work experience, internships and job opportunities: @BBCGetIn, @_CreativeAccess, @Talk2Dan_, @mediargh, @GoThinkBig. Bear in mind, it is just as easy for employers to unearth all your pictures and post available online, as any of your friends or family. So, take a good hard look at your social media and delete anything you would not want your future boss or colleagues to see. You can also use your social networks to find new opportunities. Many people are now finding their work through platforms such as Instagram and Twitter by direct messaging employers or people who work for their favourite publications. Unlike most professions, a career in broadcasting does not always require a degree (but if you are doing a degree, do not be disheartened.) Transferable skills include audio and video editing, being able to DJ, having good photography skills or running a social media campaign. These kinds of skills make you very attractive to prospect employers because it means you are versatile and open minded. 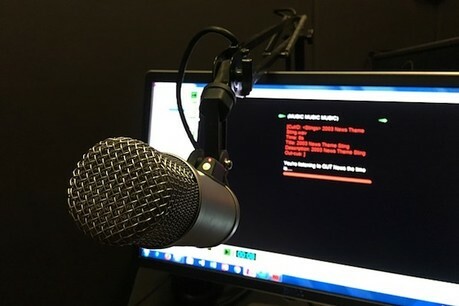 If you do not have any of these skills, fear not; they can be learnt or self-taught; many broadcasting centres such as Reprezent Radio, often have separate classes to teach some of the skills required for broadcasting. Just shop around and see what is out there for you and see what you can learn yourself. For example, doing a free trial on Adobe Premiere can quickly teach you how to edit videos. Prospect employers always want to see that you can use your initiative and create original content. By creating your own opportunities, even something small, displays the passion you have for your craft and can be relied upon. This could include starting up your own YouTube channel, a blog or a podcast. Find what sets you out apart and own it. “Don’t be afraid to ask. Ask if you want to learn new things or try something different. If you want to learn to DJ or do radio and your anxious, just do it. You are your biggest enemy, no one else. Only you can stop yourself from progressing and that’s one tip I stick to constantly even to this day,” said Loren. Opportunities do not always come to you; if no one gives you a platform, create your own. There are plenty of ways to do so these days. Contacts are vital to any form of journalism, and it is just as true for the broadcast industry. Networking, of course, is the key way to build your contacts list. At first, it can be awkward and hard if you are shy. However, you will find that pushing yourself to break into conversation can yield all sorts of results from work experience, to collaborations, to new tricks to use in your reporting. You can find networking events through social media, by following organisations such as GoThinkBig and Creative Access, who keep on top of the latest opportunities. Also, get in touch with the organisers to see if they can get you into networking events. One of those of course is newsrewired. Students are encouraged to come and lend a hand, so get in touch. Make the most of the potential to network with people from all corners of the industry. Looking to learn new journalism skills? Check out our training page for courses such as podcasting, immersive video storytelling or online content strategy. To know everything the latest job opportunities, head to our jobs board.